Manometer included for measuring circuit pressure and PEEP. 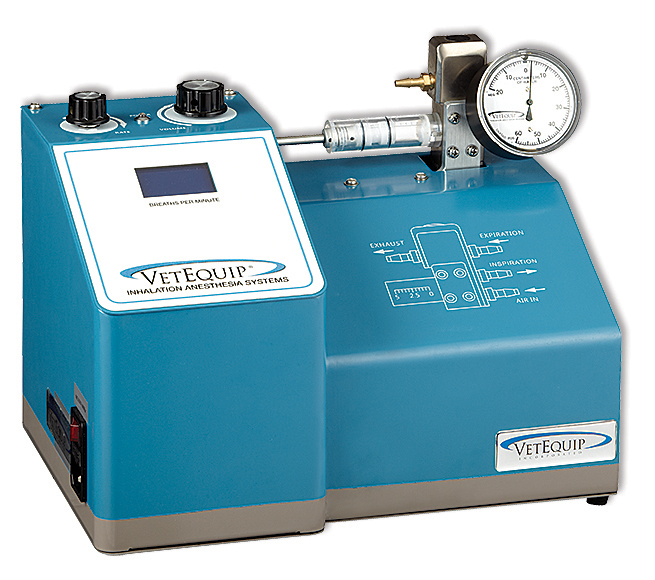 When using gas anesthesia, scavenging is via an activated Carbon Filter (VaporGuard). Optional active scavenging interface is available if vacuum is used.